Do you know the benefits and the drawbacks of a metal roofing material? Here you can find the pros and cons of the metal roofing. This roofing system is great for snow areas due to its fire-resistance, it is lightweight and is great at shedding the snow of the roofing surface. The metal surface offers a high R- value. 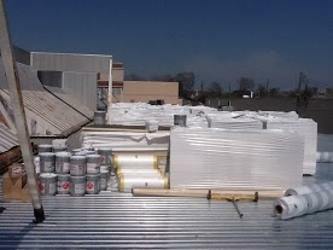 This material helps your roofing system to quickly melt the snow. Here are some important things, the pros, and cons of the metal roofing. Take a look at the benefits and drawbacks. With a proper installation, this roofing system can last as long as the house, the average lifespan is 50 years. The metal material is fire-resistant and resistant to insects, mildew, and rot. The given warranty is from 20 to 50 years. y from 50 to 150 pounds per square. Some of these materials can be applied over an existing roof without tearing the previous surface. Due to the lightweight, the installation is very quick and is saving money on engineering and building the structure. Most of the metal roofing material comes in multiple single selections. A professional can install a metal roof very quickly which is a great advantage. Metal roofing systems are noncombustible and have a Class A fire rating. That is regardless the material on the surface. Other similar materials have a C rating like wood shingles. Metal reflects the sun away from the roofing surface and minimizes the heat gain. This way you save the energy lost on the work of the air conditioners. The insulation has an R-value, but that doesn’t affect the energy efficiency. Metal is impervious to snow and rain due to its design to interlock. The metal surface is slippery and hard. Metal material has many positive sides, but there are a few negative which needs to be mention. The cost of the metal roof is one of the biggest drawbacks. The cost can vary from 150 dollars to 600 dollars per square. But the trick is with its durability. If you aren’t planning to sell your property, you will return your investment in a couple of years. Many people do not like the rain tapping. Noise by the hailstorm is not romantic at all. To minimize the drumming you can use the material that has the structural barriers. Also, apply the insulation for the better result. A metal roof can easily dent when the large amounts of hail fall on the surface which may require roof repair. Copper or aluminum are softer than steel and can dent faster. Some types have a guarantee that they don’t dent. On some metal roofing surface, you can walk on, many types can support the loads. But, remember that the wet metal can be very slippery. Some painted metal can fade, peel or chalk, no matter on the guaranty of 30 years. Insiders must be careful during the installation, so they don’t damage the metal surface. The roof can be cleaned simply with a hose so it keeps looking good. Metal expands when is warm of cold and the new products offer fastening systems that can accommodate the movements. If they don’t have this system, the roofing tend can become loose. Wavy effect and the expansion and the contraction can be the result of the hot days. The metal materials in large panels are not easy to replace if they are damaged, and the remodeling of the roofing system for 10 to 20 years can be difficult due to the matching the material. Many people believe that metal conducts and attracts the electricity. This is not true, and you don’t believe it, ask a professional. Metal roofing system can be upgraded with the lightening protection. Perhaps we threw a lot of information at you but maybe we’ve shed some some light onto this topic. 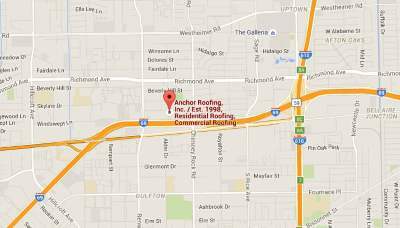 Still in case that you need further assistance or want to inform yourself more about this matter, visit your best metal roofer in Houston and we’ll gladly sit down and help you out.